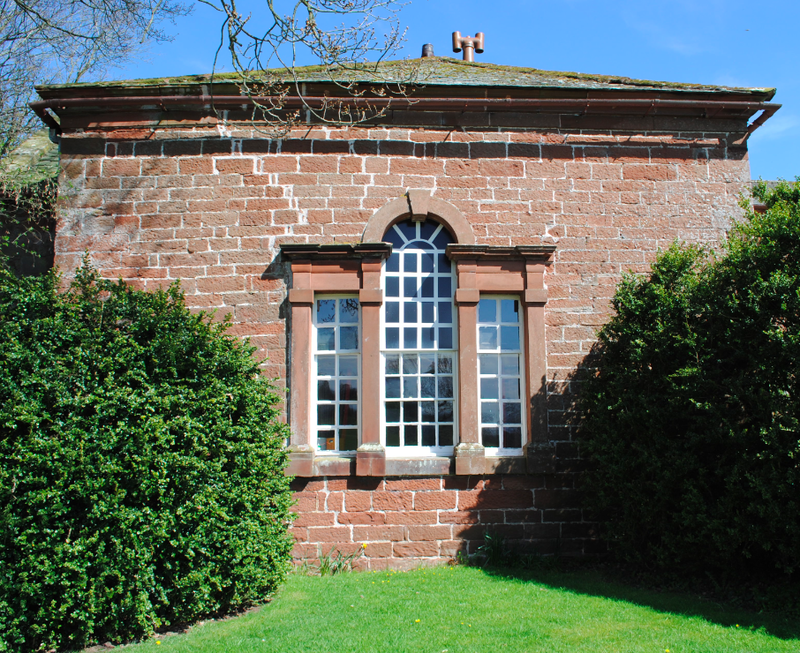 Acorn Bank stands on the site of a religious house of the Knights Templar dating to 1228. On their suppression, the estate passed to the Knights of the Hospital of St John who held it from 1323 until the Dissolution. In 1543 it became the property of the Dalston family. Building the house in several phases, parts date from the 16th century and the main block was rebuilt during the mid 17th century. Constructed of sandstone and ashlar, the south front (above) features a symmetrical nine bay facade with a second floor band and a central doorway with segmental pediment. The whole house was given a new facade in the late 17th century and the Georgian sash windows were added in the 1740’s. 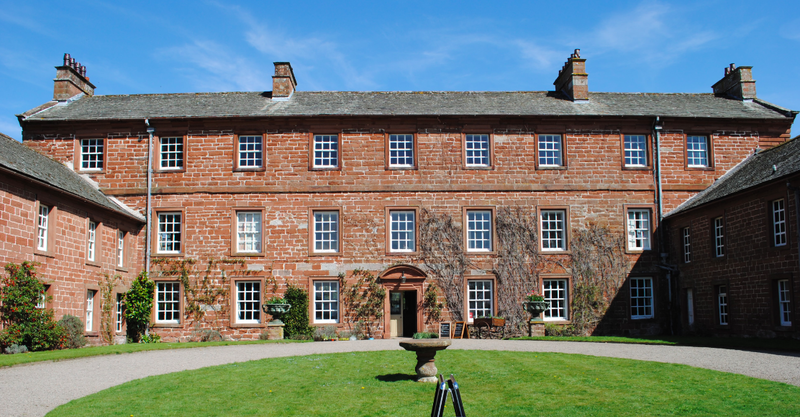 The estate passed through marriage to the Boazman family from County Durham in the early 19th century. Acorn Bank with 180 acres of park and woodland was given to the National Trust in 1950 by Dorothy Una Ratcliffe (Mrs McGrigor Phillips). Dorothy was a Yorkshire writer and traveller who with her second husband, Captain Noel McGrigor Phillips, purchased the property in 1934. They renamed Acorn Bank as Temple Sowerby Manor and set about the restoration of the house which Dorothy filled with her impressive art collection. Noel had been injured at Gallipoli as an officer in the Great War and sadly died in 1943. Dorothy gave Acorn Bank to the National Trust (without its contents, which were dispersed) and moved to Scotland with her third husband. Thereafter, the house was leased to tenants and most recently, the Sue Ryder Foundation used it as a nursing home until 1996. The building, which retains none of its original contents, then returned to the direct management of the Trust. 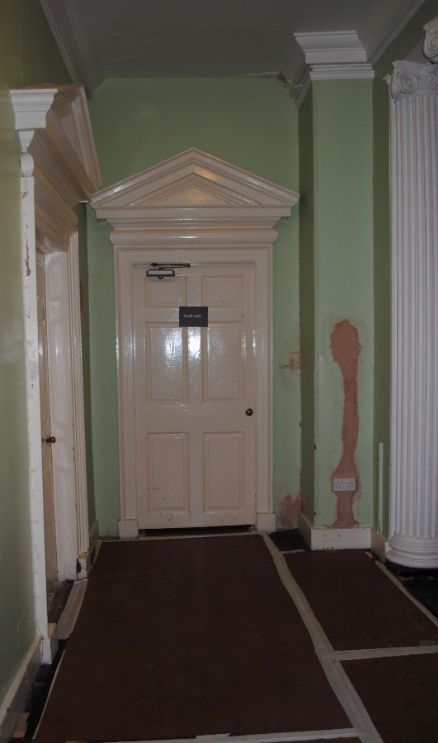 Most of the rooms retain 17th and 18th century panelling, fireplaces and cornices and the majority of the doors are original. 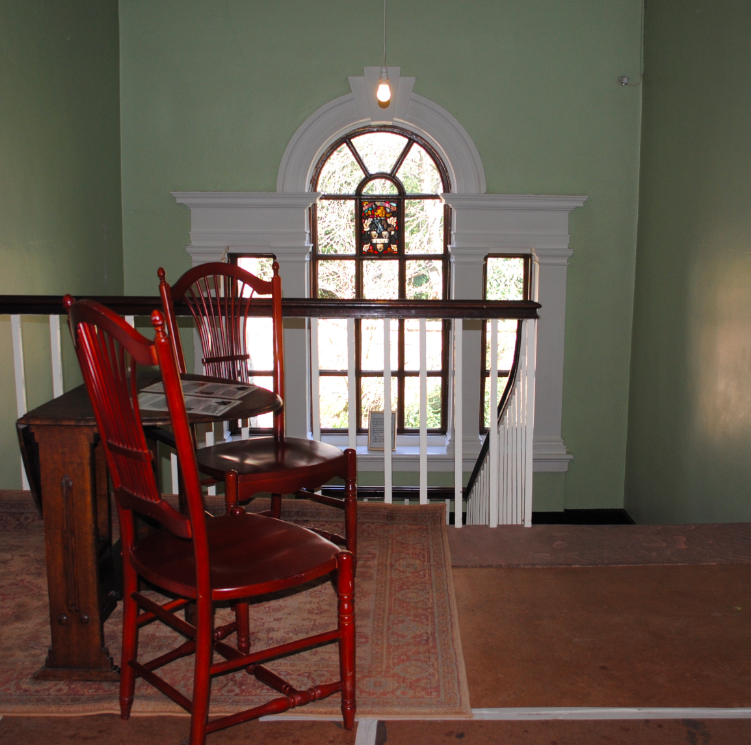 During the time the house was used as a nursing home, many of the first floor rooms were partitioned into two bedrooms. As the partitions had been carefully erected, they were removed with little damage to the fabric of the walls and ceiling. The east staircase features a Venetian window with Doric columns and a single pane of heraldic glass (above). The sandstone stair was a final addition to the house and was added in 1745 by John Dalston, great grandson of the first. The stair is cantilevered and the coat of arms in the window are those of the Clough family, Dorothy Una Ratcliffe was born Dorothy Clough in 1887. At the head of the stairs are paired Ionic columns and original pedimented door cases feature on each of the landings (below). 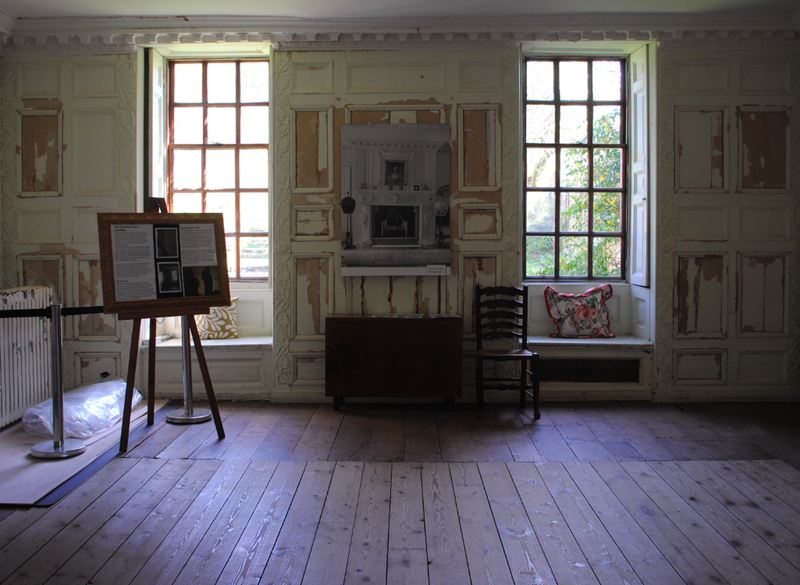 The fabulous panelling is original to the Drawing Room (below) and dates from the 1670’s. It has a carved decoration of oak leaves, acorns and vines (the name Acorn Bank dates from at least 1600). 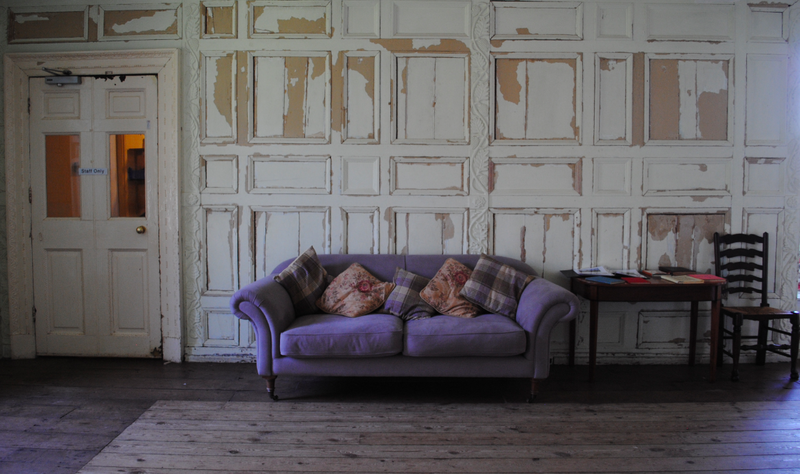 Made from a mixture of oak and pine, the panelling has always been painted. Investigation has revealed ten coats in its 350 year history with a stony white being the earliest colour, a duck egg blue dating from the 1930’s and a pale green from the final 1980’s paint scheme. 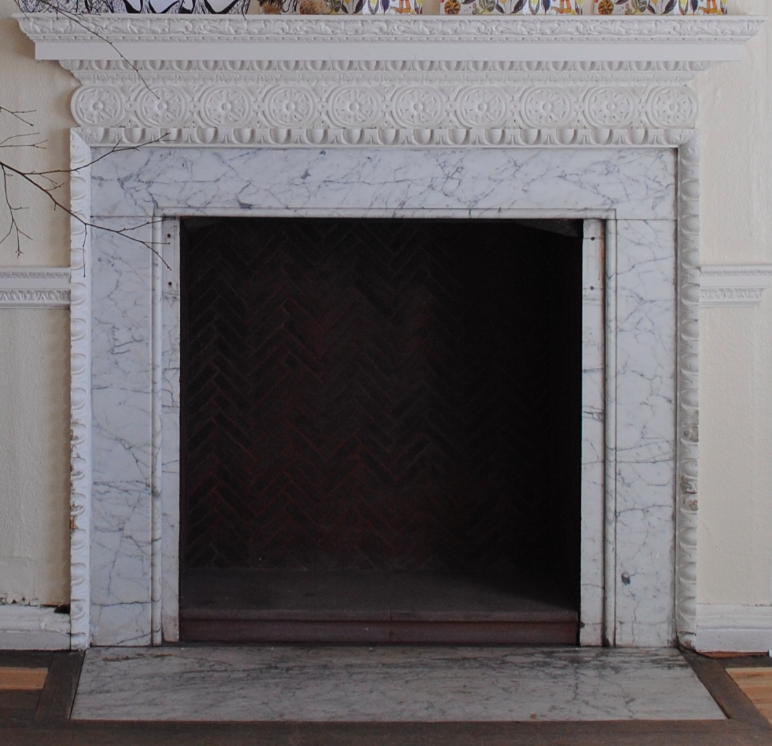 The Drawing Room was an addition to the house made by John Dalston in 1670 and features an elaborately carved Robert Adam fireplace and overmantel. 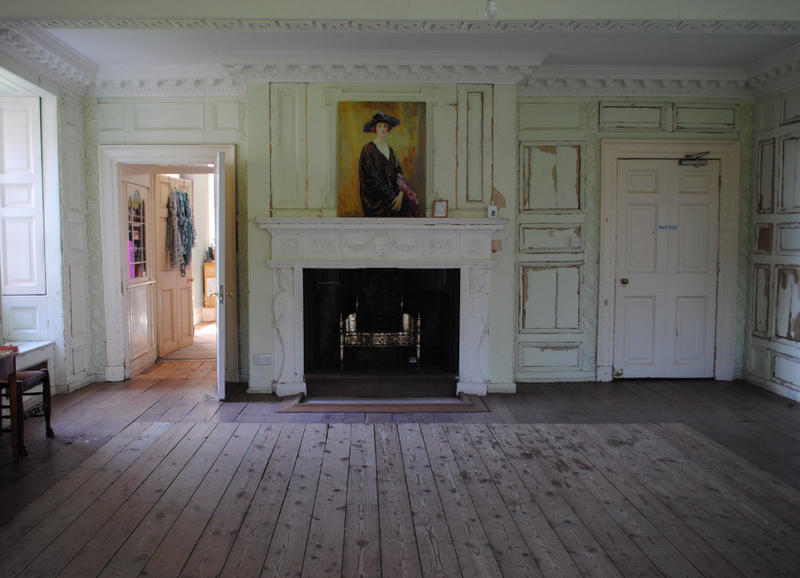 A structural survey made in 2013 concluded that although the Parlour floor above is stable, it is quite delicate. Advised to minimise the weight put on it, The Trust limits numbers to 10 people at any one time. Acorn Bank is Grade I Listed.